This tuner is aimed to help address two major areas of feedback we have seen from the community: the prevelance of Skillzone defense and incidental contact/bumps being too strong. Further muting of AI defensive actions in Online VS and HUT. There will still be some rare cases where the AI will perform a defensive action if the puck comes loose as we want them to defend passes and their logic works similar on pass receptions and loose puck acquisition. Improved cases where an AI goalie was reacting too quickly to passes even when not reading a pass. Improved cases where an AI goalie was able to recover too easily against their momentum. Improved some cases where players would sometimes lose the puck from incidental contacts that weren’t big enough to trigger a stumble. This was done by increasing the distance the puck needs to be from the stick for incidental puck loss. Collisions of stumbles or greater remained unchanged and will follow the same physics behavior as before. Improved a player’s ability to withstand push checks at lower relative speeds, especially from behind. Results will still vary based on the players involved and the more detailed context of the collision. We’re continuing to monitor some other major areas of feedback from the community, however at this time we have not implemented any changes. These include skating and poke checking. 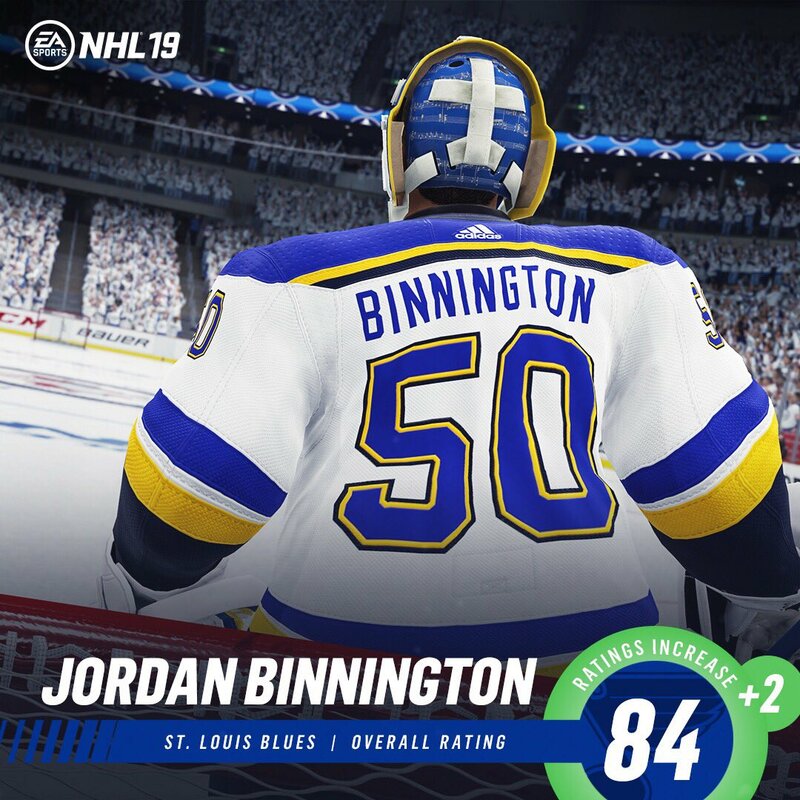 If the tuner plays as indicated in these notes it will be good as these have been huge issues in HUT since the recent tuner. Personally though I think you should go back to what the game was in September and build from there. Game had far less glaring issues and overall was much more fun. Few strides towards the middle and slows down and snipes you and your opponent does it over and over the only variation in skating behind the net protecting puck and one player again is unable to challenge the puck carrier so when two players commit they will now be able to pass through your defenders as if they are ghosts for the one timer and abuse that. The game was great at launch. Just sounds like it’s going to make puck carriers immune to contact at low speed and if they hold puck away you will get penalty trying to stick lift or poke check, if an nhl player of any size does this he would be bodied up on and that non moving stick whacked easily and the puck taken from them. Or they would never be able to face up on net because even the smaller player would have significant leverage against them, get low and get inside their hands with the body, can’t really do that in the video game. Again the game was really good at launch. What about the penalties against AI in HUT? I found that the pre-release was far better no input lag, no excessive speed. Now, Sometimes there player are faster then mine like Lafleur and my Lafleur is slower then the opponent and I have the burner and speedster on. [*] Further muting of AI defensive actions in Online VS and HUT. There will still be some rare cases where the AI will perform a defensive action if the puck comes loose as we want them to defend passes and their logic works similar on pass receptions and loose puck acquisition. So now when pressuring a puck carrier in the neutral zone - I need to either pick between controlling the pressuring winger or the defenceman anticipating the rush. Picking the backchecking forward means the d-man will not take any defensive action. Picking the d-man means it's easy street through the neutral zone. I understand skill-zoning is a problem for some people - but at the end of the day nobody can control 5 skaters at once. At some point, the A.I. needs to take action and 'muting' them just means that OVP and HUT are turning more and more in to 'twitch' games rather than strategic use of both A.I. strategies and user skill. I would much rather see A.I. 'muting' only in the defensive zone - where skill zoning is really OP. On the forecheck or the neutral zone, A.I. should not be 'muted' and should attempt some action when in position to do so. On the opposition breakout, if I want to use my center to clog up a long pass, why should my forechecking forward just give a 'pass' to their player exiting their own zone? If I see a freelance player walking forward and then I pass him, why does the player just turn away? In this situation, there is no player change. Does anyone actually have an observation of this new tuner in action today? Or people just gonna complain about the same stuff here? I thought this thread was for feedback on the tuner itself? Very interesting guys. Hopefully this ends up being more realistic. My gripe was just that, "lower relative speeds," because even smaller guys like Kane and Gaudreau use their body to shield puck away. Thanks for looking into this. Defense gimped again while more given to offense and the puck carrier. With hair trigger penalties to poke, stick lift, and the DSS being useless because players aren't afraid of it and skate into it to draw the penalty, you've gimped the D's ability to check at lower speeds to dislodge the puck and are now forcing the D to be more speedy with their checks.. which will lead to charging penalties. It's all good, maybe we can cough on those twitch dekers to dislodge the puck. On a serious note, can't wait to try the tuner tonight. At least it sounds like they've rolled back the spider senses on goalies and more deserving tic tac toe goals should happen. everything worse. Now not even NHL player Stamkos 85 has a chance of sprinting against a player with Sprint 71. What's next? that the human players have only 3 players left on the ice? Relax, I think that's an issue for a patch update, not a tuner type update.